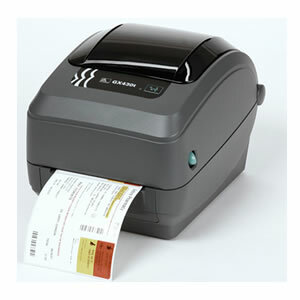 Below are listed our recommended barcode label printers which are compatible with our retail EPoS systems. They can also be used with our take-away systems for food labelling of delivery orders. Backoffice software further allows printing of shelf edge labels. High quality barcode label printer with USB interface. Direct thermal technology. Takes label rolls upto 4" wide (102mm). Takes label rolls upto 4.4" wide (112mm). 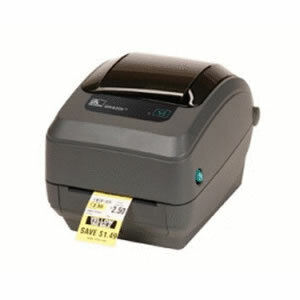 High resolution barcode label printer with USB / Serial / Parallel interface. Suitable for printing small labels such as jewellery labels / butterfly labels. Wax Ribbons from £19.99 per box of 12. 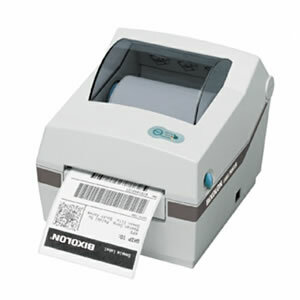 Many EPoS software packages allow you to generate and print your own barcode labels / tags for your stock. If you intend to use this facility, you will require a barcode label printer and appropriate stationery. See our Consumables section for blank label rolls.